Includes: 6 PCS. Quality may vary. Size about:14.5-17cm. There are built-in battery in the body,so their body an be light ,and their joints can be active. Notice： Pls be noticed the color may vary from the picture. Condition： New! No Original Box，In OPP Box. Whenever a is nearby, an LED with flash and the device will mildly vibrate. You can then check out which Pokemon it is by looking on your phone and using the app. Or when the LED flashes and the device vibrates, you can press the button to throw a Pokeball. 1900+ Sold! Ship from NY! Brand New with Tags!7 Styles! Go to nvidia. com / en-us / rewards / redeem /. Redeem your beta code. Platform: PC / Mac. This is full access to the account! Region: Worldwide but servers are in EU/US. LED System included. Require 2pcs AAA Batteries(Not included!). All products are quality checked. We have warehouse both in China and OHIO. We will be happy to resolve any issues you may have in a cordial and friendly manner. There are two versions: the US version, the Japanese version. Default to send the US version (need to order the Japanese version, please note the message) The Pokemon GO Plus accessory can be used with any compatible smart phone that has the Pokemon GO application installed. After the Pokemon GO Plus is paired via Bluetooth LE and a brief setup process is completed, players can encounter and catch Pokemon like never before. 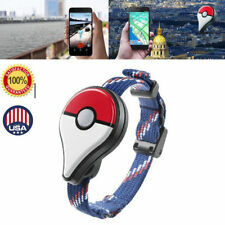 When the smart phone with Pokemon GO and the paired Pokemon GO Plus accessory are within range of each other, both will begin to vibrate when a Pokemon is close by. With the convenience of not having to look at your smart phone, simply press the button on the Pokemon GO Plus to attempt to catch a Pokemon while you are out and about. 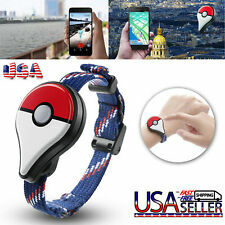 The Pokémon GO Plus is a small de. Excellent quality! Free gift while supplies last: Fortnite grip holder . Get in on the craze with the Pokemon Go Plus. It connects to a smartphone via Bluetooth so you can leave it in a pocket as you play, and it has an LED indicator and a vibration feature to notify you when Pokemon are nearby. Great toy gift for children, friends or yourself. Slight color difference should be acceptable due to the screen and light. We believe communication will fix problems. 1 x Wristband. Whenever a is nearby, an LED with flash. You can then check out which Pokemon it is by looking on your phone and using the app Or when the LED flashes . 1 X Pokemon go plus. you can press the button to throw a Pokeball. 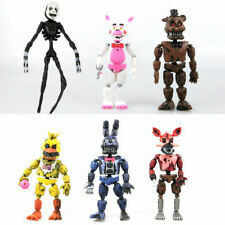 Nice gift for your children or fnaf fans. don't miss it! cute five nights in freddy's pet. super soft, your baby will love at first sight. material: high-quality soft plush, comfortable notengefühl. The product can be decoration or used as gifts for kids. Note: Pls be noticed the color may vary from the picture.Opp Bag! All the orders are dispatched within 72 hours. The real color of the item may be slightly different from the pictures shown on website caused by many factors such as brightness of your monitor and light brightness. Material:Plush PP Cotton. 10 pcs - 10 - Mixed Roblox Debossed Bracelets (2 of each: Black, Yellow, Red, Pink, Blue). Balloon sizing is from top to bottom. Latex balloons typically last 5-10 hours depending on the helium quality, temperature, sunlight exposure and other conditions. Description Condition:Brand New Without Tag Material: Soft Plush Size: Approx 10'' Tall Package include:1pcs doll. Health,Beauty & Care. At sanheshun, superiority in details and quality is a high priority. We also have a high-standard QC team, qualified by authorized organizations to ensure products are of the highest quality. Hope you can understand. We will be very appreciate for your kindness help. We will try our best to resolve the issues. United Stated. 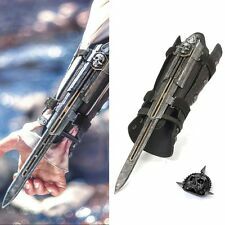 Stainless Steel Fortnite Inspired Bracelet. FORTNITE Necklace Tag (Blue) w/ Heavy Duty Chain & FREE SHIPPING and Gift! Super Mario Bros. 3 Collectible NES Nintendo Video Game Poster 12"x18"
Commodity Attribute: Finished Goods. Size: 10cm. Size:Approx 10cm. Material: PVC. Commodity material: PVC. Age Range not for children under 3 years. Mfg Series Number: Model. Great gift for FNAF fans. Due to the light and screen difference, the item's color may be slightly different from the pictures. We believe communication will fix problems. Weight:Approx 300g. Gender: Unisex. The product can be decoration or used as gifts for kids. Note: Pls be noticed the color may vary from the picture.Opp Bag! NEW Five Nights at Freddy's FNAF Horror Game Plush Doll Kids Plushie Toy Gift 7"